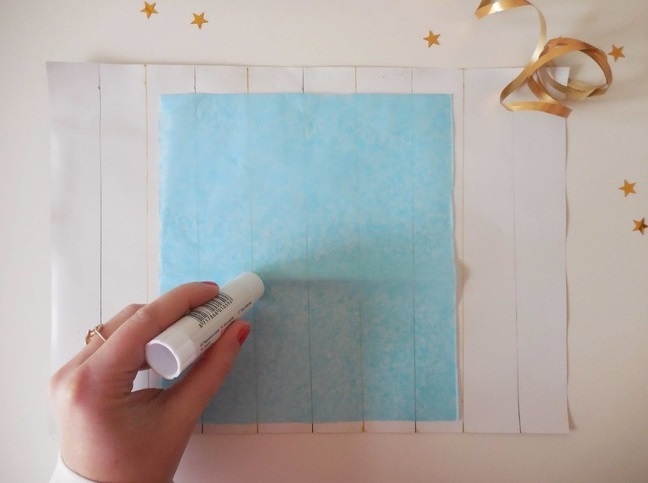 This craft make is a really fun and easy one and works well for Christmas, birthdays, baby showers… any occasion! 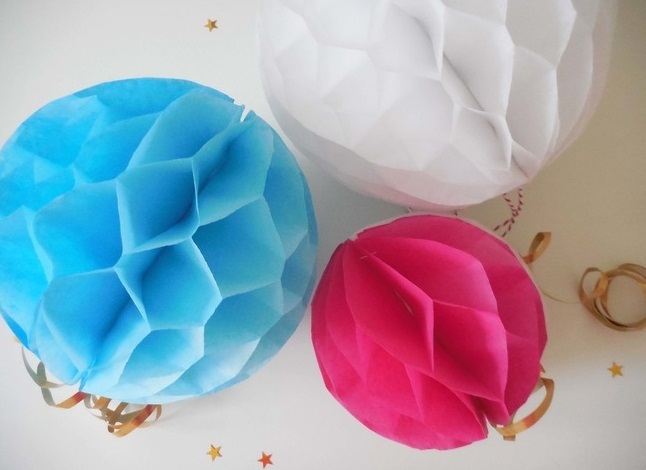 All you need are a few sheets of tissue paper, a glue stick and a pair of scissors and you can create an eye-catching decoration in half an hour. It’s also a great Christmas activity to keep children occupied over the holiday season. 1. 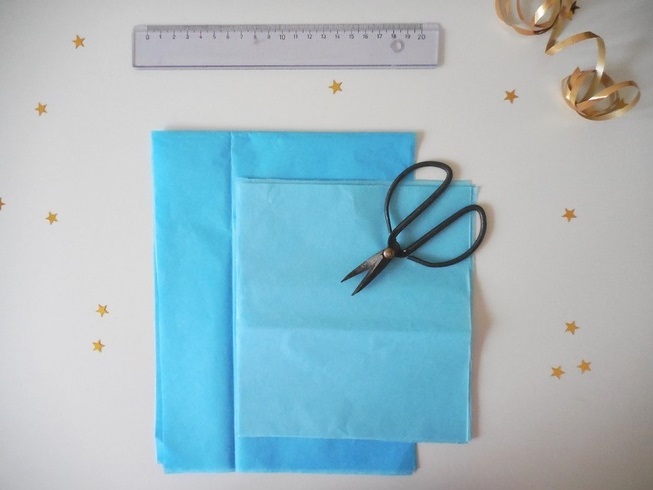 Cut the tissue paper into rectangles of 17cm x 18cm. 2. On the back of the gold card, draw lines 3cm apart (alternate black and gold pen for this – I’ll explain why later). 3. 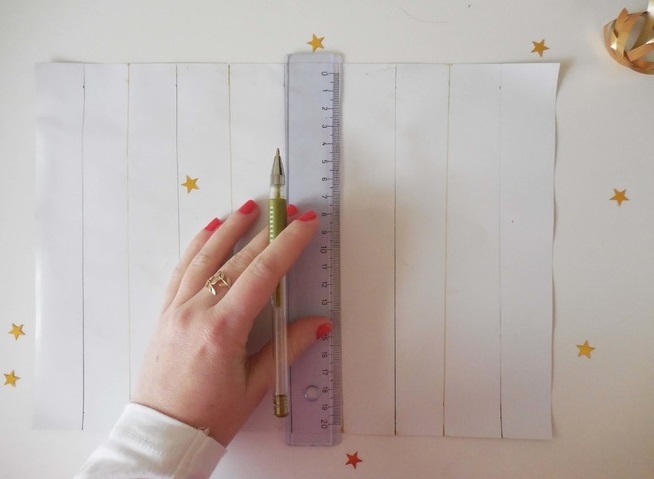 Lay the first rectangle of paper on the grid (vertically). Take the glue stick and run a line of glue along all the GOLD lines. Add another layer of paper on top of this one then run the glue stick along all the BLACK lines. Then add another layer of paper on top and glue along the GOLD lines. Keep doing this, alternating the lines of glue, until you’ve stuck the entire stack of tissue paper rectangles. 4. 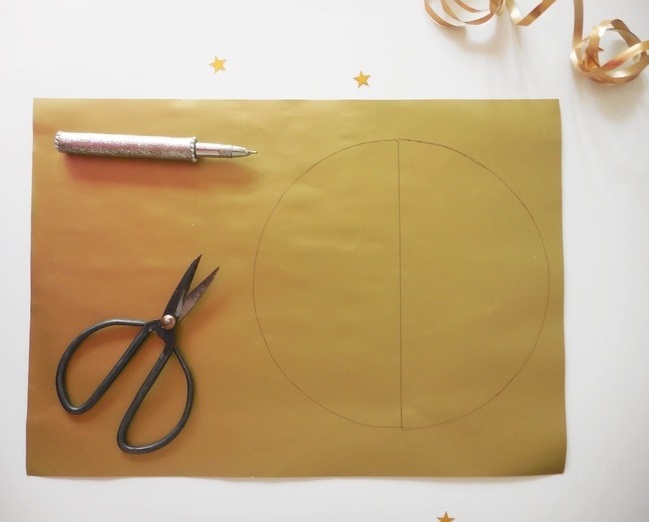 Once you have a stack of paper, draw two semicircles and cut them out (make the base line 16cm to create a 16cm-diameter globe). 5. Turn the gold card over and cut out two more semicircles. 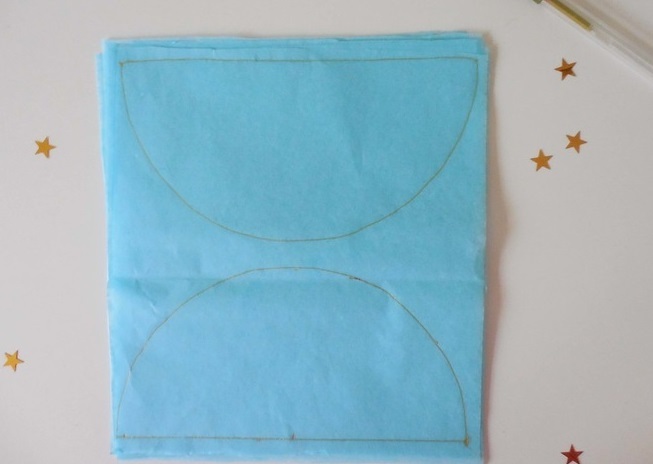 Stack the two tissue paper semicircles, gluing them together, then sandwich the paper between the two gold card semicircles. Glue the card to the tissue. 6. Nearly there! 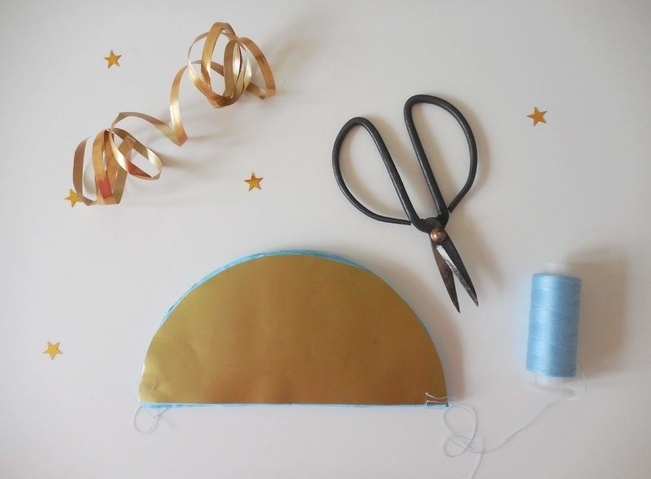 Take a needle and thread and put a stitch through each end to keep the layers in place. 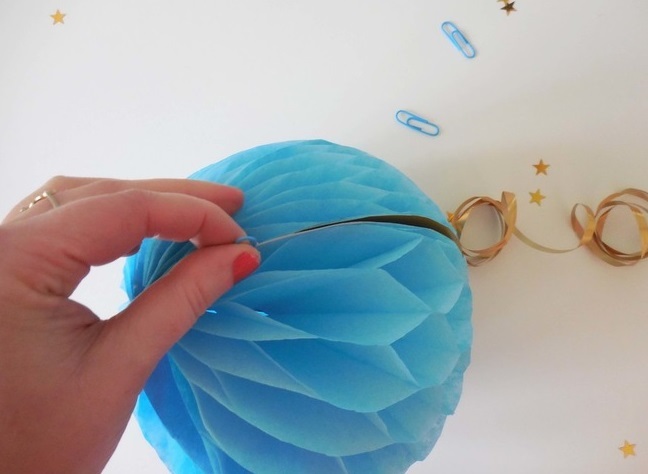 Tie a loose knot (if you tie it too tightly, the decoration won’t have room to open). 7. Ta-da! 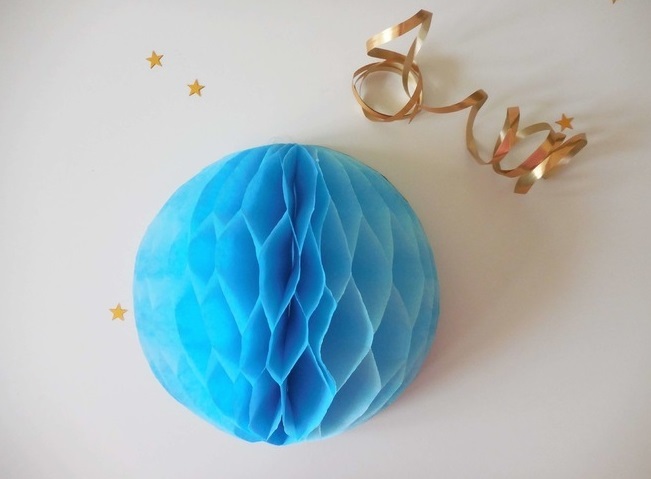 Carefully open up your decoration and you will have a beautiful honeycomb globe. 8. 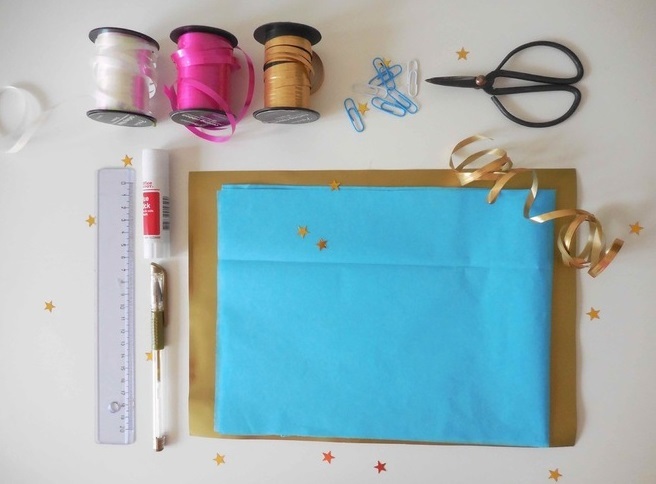 Open it out fully and fasten it together with a couple of paper clips – that way you can fold it back and pack it away once the festivities are over to reuse again at a later date.